Is your son or daughter starting school in September 2019? Why not come along to our Stay and Play session in our reception class on 5th December. 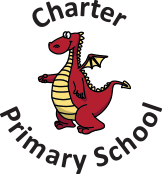 We will be delighted to show you around our lovely school and our reception class teacher, Mrs Adams, will be available to answer any of your questions. Come along and help us start get the Christmas season started by taking part in our Christmas Craft activities today.